It’s almost Easter, and for so many of us that means a full weekend of family and fun. If you have a house full of company and meals to make, you don’t have time to come up with Easter crafts and activities too! 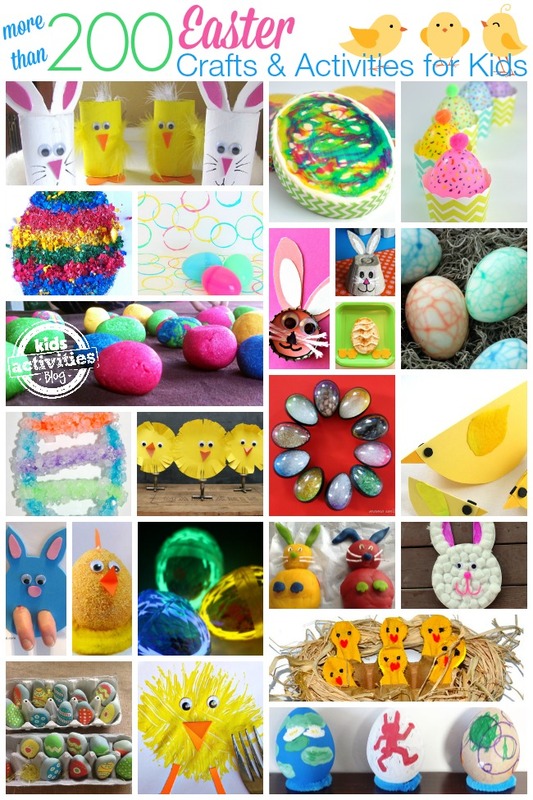 But don’t worry, because some of our favorite bloggers from all over the internet have come up with over 200 super awesome Easter crafts and activities for your kids to do, and if that’s not enough then check out all the Easter fun we have here at Kids Activities Blog! There’s so much fun here, we don’t even know where to start! Here are just some of these awesome Easter Crafts and Activities! We love the borax crystal Easter Eggs from Housing a Forest. These Egg Buddies from Plain Vanilla Mom are super fun. We are totally making these Bunny Long Legs from Crafty Journal! Check out the over 200 Easter Ideas Below! Previous Post: « Craft Stick Flip Flops in Honor of Dollar Tree Flip Flop Frenzy!